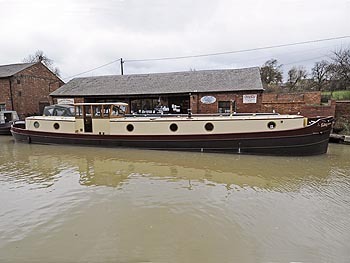 When boating holidays became really popular, boats were built specifically for the purpose rather than converting an old working boat - although the pioneer of canal cruising for leisure, Tom Rolt, converted a former working boat, Cressy, into a prototype of the cruiser style. They are built with large stern decks (which allowed more people to socialise together whilst cruising) and more accommodation space (by putting a modern engine under the aft deck boards rather than inside the cabin). The aft doors can either be on one side or in the centre (as seen in the photo). The deck normally has a protective taffrail round the outer edge and sometimes has a net/canvas stretched around the outside to help prevent kids/pets falling off. 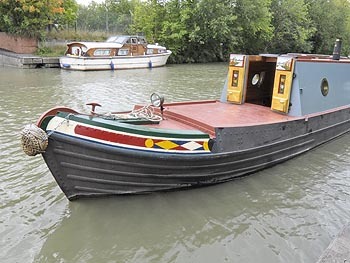 When leisure boat building became established for private ownership, the 'modern' trad was the most common style built. Externally these look like the converted working boats, and perhaps more importantly to some of their owners, nothing like a cruiser-style hire boat. There is no boatman's cabin, and the modern engine is situated immediately inside the cabin, all boxed in - thus maximising virtually all the cabin for leisure accommodation. More recently there has been a recognition by the private boater of the advantages of a cruiser style for social cruising, and this gave rise to the cross between the two. In the semi-trad the aft is essentially a cruiser style stern with the cabin sides (but not roof) of the trad - giving an enclosed social space. Externally from the bank this looks like a trad with just the small semicircle of deck at the aft. The modern engine is under the aft cockpit deck as in the cruiser style. This label mainly refers to the stern section of the boat. The early leisure trads were converted working boats in which the aft deck is just a small semicircle. The aft doors are central and open down into the boatman's cabin - a replica of the area in which the working boat families lived. The engine, a vintage unit or copy of, is in its own cabin forward of the boatman's cabin and has side doors (seen open here in the photo). The 'leisure' accommodation is situated forward of the engine room in the remainder of the cabin. 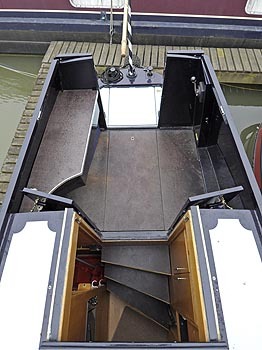 Based on the original narrowboat which was horse-drawn, a butty style has no engine and aft counter section, giving a sleek look to the stern of the boat. Modern versions either remain true to the original and are designed to be horse-drawn or towed by a motor boat; or they have an engine hidden away so that they can be self-propelled. Generally a butty will include a boatman's cabin, with the forward section of the accommodation area a higher cabin for better headroom. 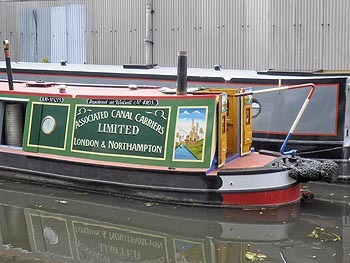 The waterways were built to carry cargo and so narrowboats were built featuring a small cabin aft (for the sleeping accommodation and engine if a motor boat), with the majority of the boat an open hold for cargo. The hold was generally covered by a fabric cover or 'cloth'. 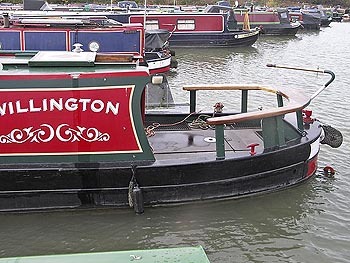 Many boats built originally for working cargo remain, along with modern versions, with some retaining a hold and others having an accommodation area beneath the clothes. Based on the barges found in abundance in Holland, this is a slimmed down version (widthways only) to allow it to pass through the standard narrowbeam locks. The hull and cabin sides tend to be vertical, with wider than normal side decks and a wheelhouse at the rear with wheel steering. The wheelhouse is normally collapsible to allow passage under low bridges and tunnels. There is no forward cockpit. The engine is situated under the wheelhouse deck. 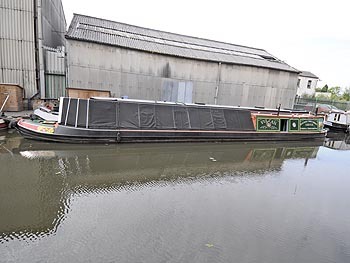 The owners' of canals wished to show-off the companies wealth and at the same time inspect their property from the comfort of a boat - hence the sleek and elegant inspection launch was created. Versions generally included a covered forward cockpit plus a number of large windows to the forward cabin, all designed to maximise the view of the waterway. Originally they would not have included sleeping accommodation, but most modern inspection launches feature bedrooms and bathrooms. 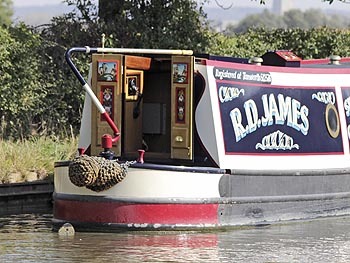 An increasing number of craft on the inland waterways are wider than the the 'standard' narrowboat beam. 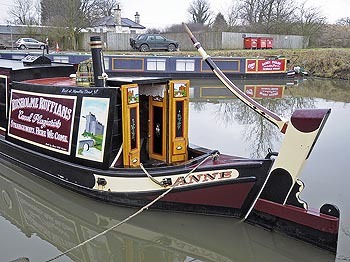 These generally fall into two categories: the 'Dutch Barge' or the seemingly incorrectly named 'wide-beam narrowboat'. 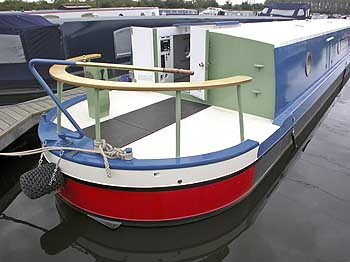 Dutch Barge styles more closely represent the original Barge than the narrow-beam version. 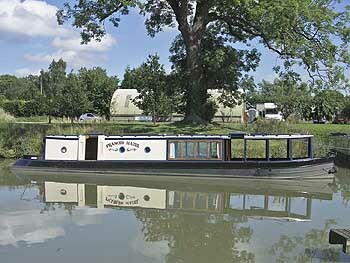 The wide-beam narrowboat being exactly that - a wide version of a narrowboat in any of the styles mentioned above.